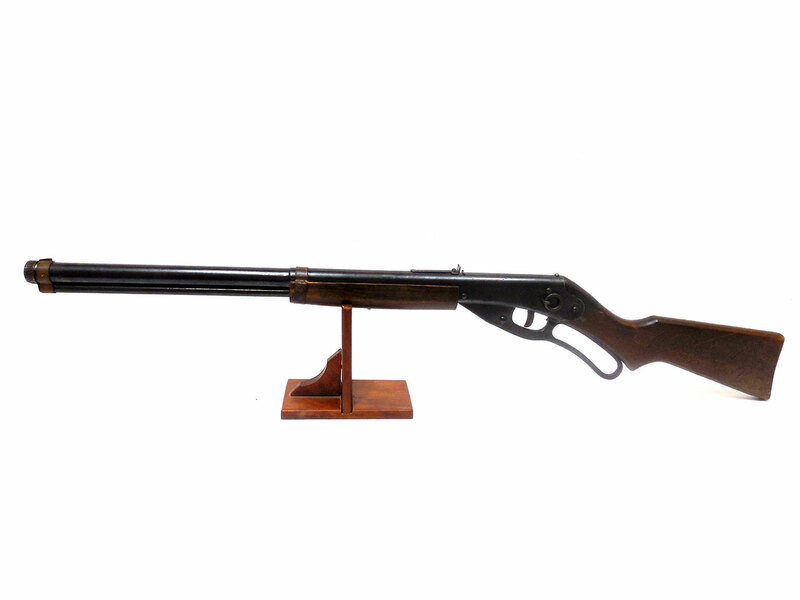 The famous Red Ryder carbine BB caliber lever action repeater. This model was made only the first year of production, 1940. Because of this they’re pretty scarce, and one of the most sought after Daisy collectables. 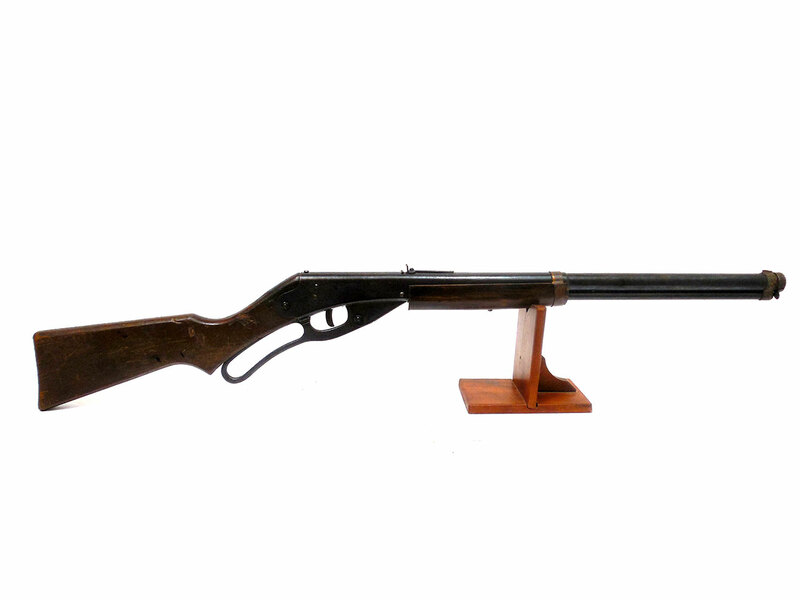 They feature a copper barrel band, cast iron cocking lever, and the Red Ryder logo on the left side of the stock. 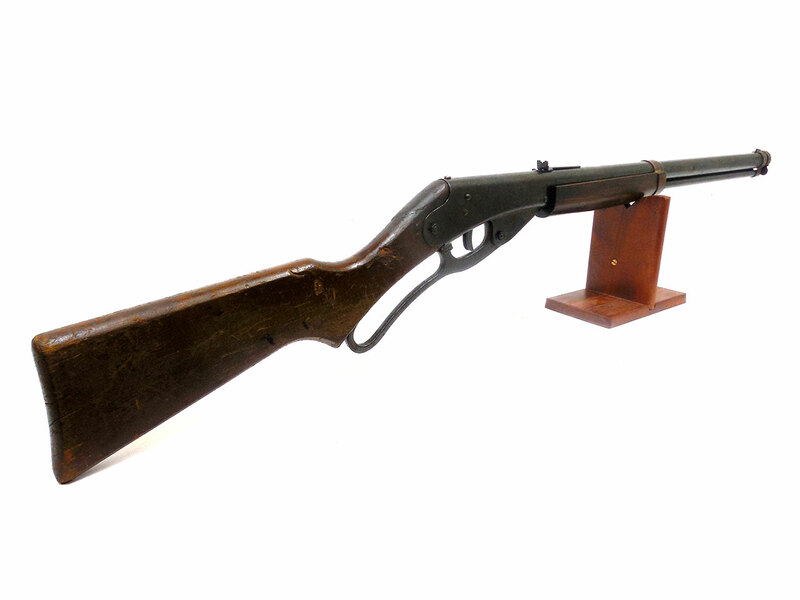 While correct for the model the stock is showing its age, and has an old repaired crack. 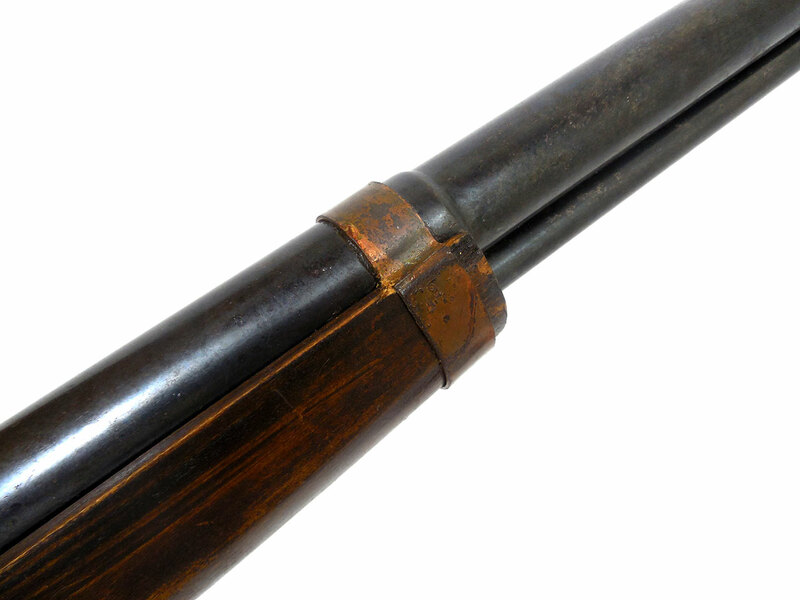 There is still a little copper platting on the barrel band. 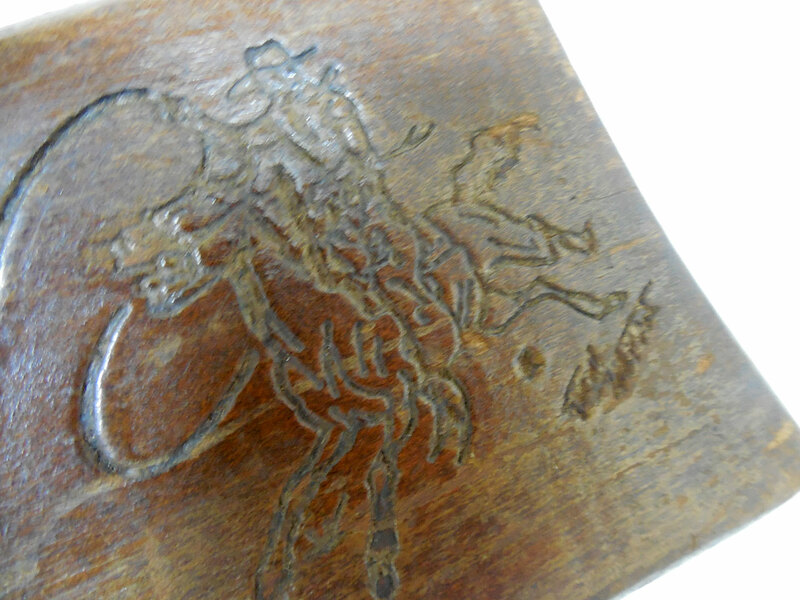 The metal retains about 85% of the original finish, and there’s a good amount patina. 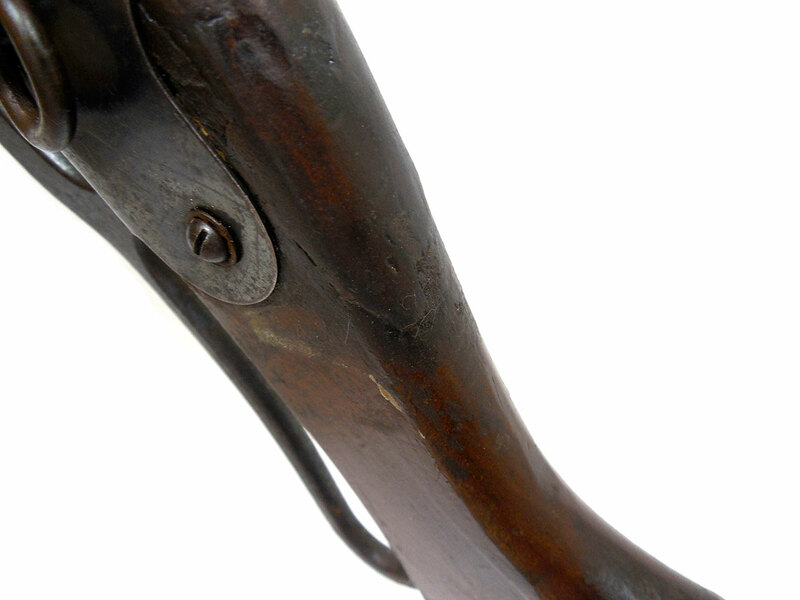 We don’t know if the forearm is original or not since it appears to have been refinished. This one’s been cleaned, lubed, and resealed in our shop. Velocity was tested at around 275 fps.